The concept of 'civil society' has often been used as a devise for differentiating China from other cultures. Though sometimes portrayed as a growing phenomenon, Chinese civil society is frequently said to be non-existent. Definitional deficiencies have, therefore, led to both a simplification and a narrow appreciation of societal developments in China. By examining various forms of activity, such as NGOs, residential movements, and alternative spaces, this book, however, reassesses the idea of Chinese civil society. Through questioning current methodological, theoretical and structural assumptions, it uses an empirical approach to criticize and expand upon existing understandings of civil society as it is applied in the field of Chinese Studies. 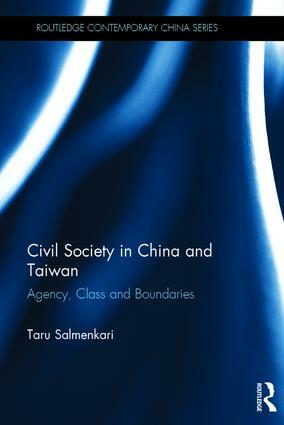 Based upon ethnographic research undertaken among activists in both mainland China and Taiwan, it examines issues such as inequality, the mobilizing skills needed for civil society activities, and the technologies which exist to maintain the boundary between state and society. Offering an analysis of Chinese civil society in the context of modernization, social and economic liberalization, and international civil society promotion, this book will be useful to students and scholars of Chinese Studies and Taiwan Studies, as well as development studies and civil society studies. Taru Salmenkari is Associate Professor of Chinese Studies at Tallinn University, Estonia.